The recipients of this year’s President’s Lifetime Achievement Awards have been announced today. 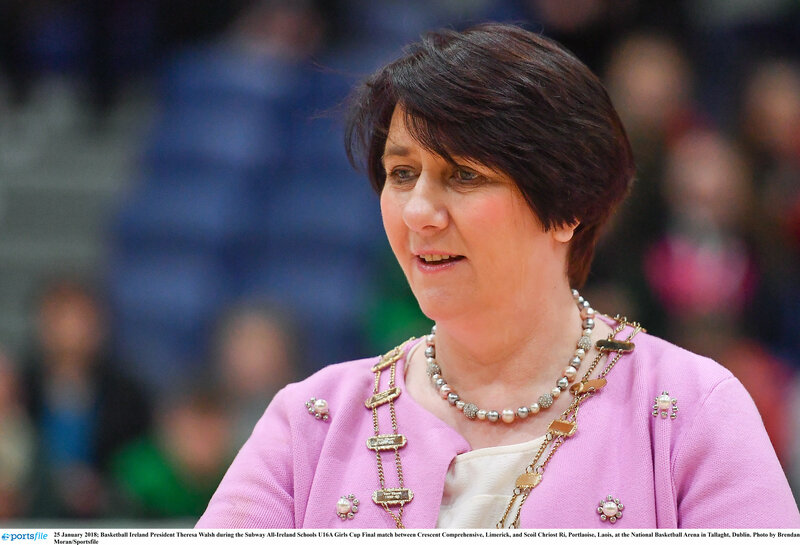 This year is the inaugural year of the awards, and will see all recipients honoured at the 2019 Basketball Ireland Annual Awards ceremony at Croke Park on May 11th. The awards are in recognition of the fantastic work being done by members of the basketball community around Ireland, and the nominating committee had an extremely tough task in selecting this year’s winners, who were revealed today as: Andrew Drumm, Donal O’Connor, Joe Byrne (RIP) and Joey Boylan. You can read more about their contributions to Irish basketball below. Andrew Drumm is the founding member and current president of Brunell Ladies Basketball Club in Co. Cork. In 1984, Andrew founded the club and has since devoted his life to it, in a dedicated career that has spanned over 35 years and has seen Andrew attending all events from training sessions to games and fundraisers. Ask anyone in the basketball community to think of Christmas and only one thing springs to mind – the St Mary’s Castleisland blitz. In 1970, Donal O’Connor approached a group of friends with the idea of a basketball blitz to brighten up the days after the Christmas holiday. He went on to convince the owner of the local dance hall to allow them to put in basketball rings by day, and that first year, the event was a roaring success – with games over two days, with 12 teams, 18 games, 10 hours of basketball and 350 people in attendance. In 1976, the blitz moved to the newly built Community Centre, and by 1988, the blitz had become so big that a second venue was added. Now, in the present day, the blitz runs in two venues over five days with the 2018 blitz seeing 164 games, 22 competitions, 93 hours of basketball and a record-breaking 13,000 people in attendance. 2019 will mark the 50th anniversary of the blitz, and Donal O’Connor is still at the helm, driving the event forward. Joe Byrne was at the forefront of club and school basketball in Castlecomer, Co. Kilkenny since the 1970s. A passionate and dedicated coach who had the ability to inspire players of all ages, Joe coached across all age groups and had a strength in developing young talent. He dedicated his evenings and weekends to coaching and developed Castlecomer Basketball into a powerhouse within the Kilkenny club basketball scene. His enthusiasm for the sport and for the competition brought him to every corner of the country for games and tournaments. He coached the Community School to their first ever U16 boys All Ireland Schools title in 2002 and coached at a number of primary schools. He also coached at the European Basketball Jamboree in 2001 and kids from across Europe had the opportunity to be coached by him at the week-long camp. He was later involved in the U15/16 men’s international development squad with Bob Lambert. A name that is surely synonymous with the sport at every level, Joey Boylan has been a player, a coach and a mentor for others in the sport around schools, clubs, communities and international teams. Joey’s passion, knowledge and tireless commitment make him extremely popular and appreciated by his peers and to this day, he continues to drive the future generations of the sport forward with his current role as head coach of Men’s Super League team, DCU Saints, as well as being the head coach for local school teams. Joey’s unwavering commitment to the sport of basketball, his drive, determination and all-round knowledge and insight into the game make him one of the most well-known coaches in Ireland and indeed, further afield.